The ABCs of astrologese! Everything you need to start studying your own astrology chart, starting with how to get your chart free online. Provides a handy reference with tools to translate the symbols in the Zodiac Pie. Makes astrology make sense. 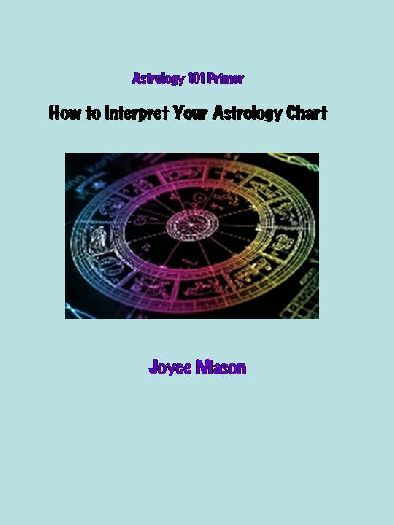 Astrology 101 Primer: How to Interpret Your Chart was written with newcomers to astrology in mind. It takes the complex and often overwhelming visual of a horoscope and gives you the key words, symbol translations and concepts you need to begin deciphering its messages. Everything you need is tightly woven into this 16-page reference. If you eliminate the introductory and bonus material, you only need to print out six pages to have your own condensed chart interpretation guidebook. You'll also learn where to get a free copy of your astrology chart online. There are pages with symbols and keywords for Planets, Signs Houses and Aspects. This primer has the ABCs of astrology, the building blocks of this amazing language and tool for self-growth.